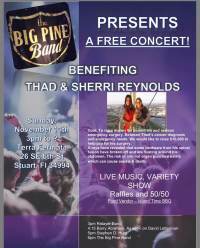 A fun party with Live music all day and an important fundraising purpose. 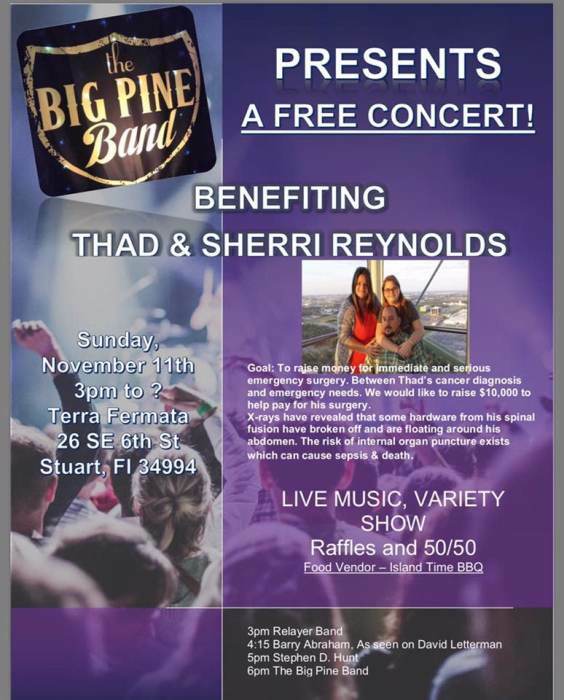 Sherri and Thad need our help. This event is to raise money for some immediate and very serious medical needs. During the examinations immediately after Thad’s cancer diagnosis, an x ray revealed that some hardware from his spinal fusion had broken off and is floating around his abdomen. The risk of internal organ puncture exists which can cause sepsis and death. Let’s help prevent this family from loosing the man of the house! The goal is to have an awesome party, a ton of fun and raise $10,000 for them so they can get Thad fixed up.